In our acceptance, we can wait. When I was growing up, I never saw either of my parents take a drink. Though there was that time I found a bottle of blackberry (or some kind of berry) wine tucked away under the kitchen sink. It sounded gross to me, so I moved on. But when I was twelve, I knew my older brother did his share of partying, and I also knew that, though incredibly annoying to me, he was super cool in the eyes of my friends, and apparently the whole world. I, on the other hand, was not so cool and kind of on the fringe of the cool kids. Or at least that’s how it seemed to me. One weekend when I was twelve, my parents were going out of town (a couple of hours away) to a conference where my dad was going to be preaching. I was staying with my friend for the weekend. To make a really long and embarrassing story short, my friend and I ended up hanging out with some of my older brother’s friends (my brother was not there) and playing a drinking game in which, interestingly, my friend and I (the only girls there) seemed to be the only ones slugging down the Budweiser. Ultimately, we were discovered by her father, in our very inebriated state, while trying to sneak in. My parents had to come back from their weekend to collect me. Then, they had to go back to the conference, with me in tow, where I am sure they were completely mortified. I know I was. The worst thing about it all was disappointing my parents. Though I don’t think at the time I was intentionally looking to do what I did in order to gain the acceptance of those other kids, I can look back on it now and see that that is exactly what I was doing. I wanted to be cool and to be liked by those other kids. I didn’t want to be viewed as the goody-goody preacher’s daughter (a label I now proudly wear, by the way!). Everyone wants to feel accepted and to fit in. If you know any teenagers, or were ever a teenager yourself <grin>, then you know this to be true. And you also know that people will do some terrible, stupid, ridiculous, dangerous things to get that acceptance. I think this is a perfectly natural, human, desire. Since God created us for relationships and He created us to need each other, it makes sense that we would want to feel like we are loved and accepted by others. But if you aren’t grounded in your acceptance in Christ, it can be a slippery slope, as I learned that night. And in the end, not only am I pretty sure I failed to gain the acceptance of those kids, but I also broke my parents’ trust and their hearts. Oh, and I looked like a complete fool—much to the enjoyment of my older brother. In The Fire of Delayed Answers, Bob Sorge writes about Doeg the Edomite. He was an outsider, and one of King Saul’s servants. Knowing Saul was in hot pursuit of David, Doeg saw an opportunity and ratted out the priests of Nob, who not only failed to inform on David, but they also sent him away with provisions. As a result, Saul ordered all the priests to be executed and Doeg took the job on, since none of the other servants dared to murder the Lord’s priests. And then there is the opposite of Doeg: David. David, who trusted in the mercy of God and vowed to continue to wait on God (Psalm 52:8-9 NKJV). David, who waited on the Lord to bring him favor and promotion, instead of taking matters into his own hands out of his desperation. Oh, he could have done it. But he didn’t. And his “friends” did not understand why David did not just go ahead and take care of Saul when he had the chance. But what I don’t think they knew was that David did not need or desire the approval of the men who surrounded him. He knew, without a doubt, that he was loved and accepted by God and was anointed by God to be King—in God’s time. David was confident in his acceptance by God, so David knew that he did not have to do anything because God had it covered. All he had to do was wait. I imagine that David’s cave buddies viewed him as weak. Hiding out in a cave? Running from Saul? Not taking care of matters himself? What a wimp! Right? What they failed to see, was the profound strength of David, their future king. I think waiting is often seen as weakness, or as not taking care of your business—like a man should! They did not see the strength in David as he sat back and rested and waited for the Lord to move. It takes great strength to patiently wait on the Lord and to trust Him. And what’s more, strength is gained in the waiting (Isaiah 40:31 ESV). 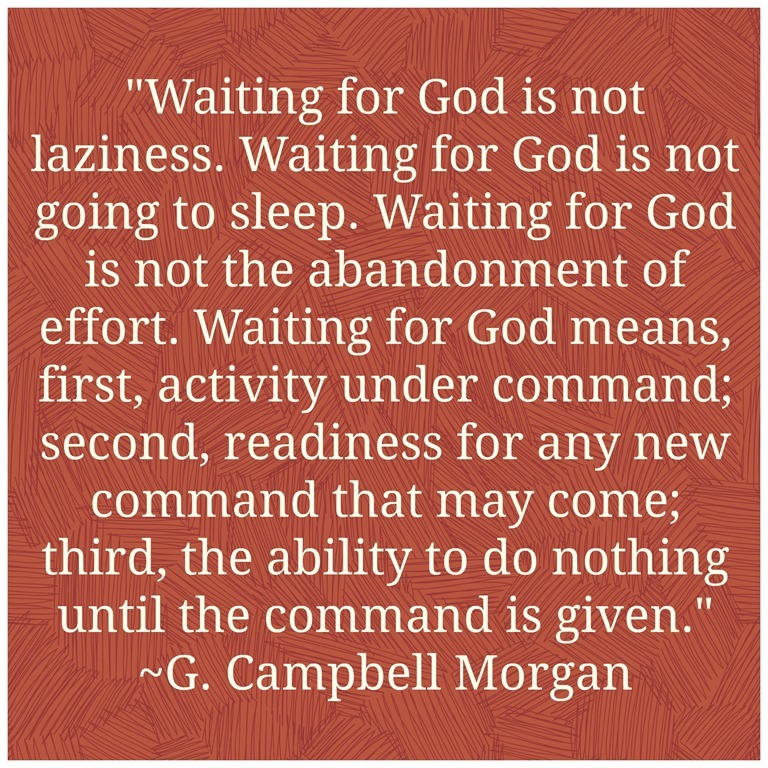 Waiting produces great character and blessings from God—something David learned and for which he was richly rewarded. As for Doeg, Sorge tells us that he is never mentioned again in the Bible. We must know the Source from which our acceptance comes. 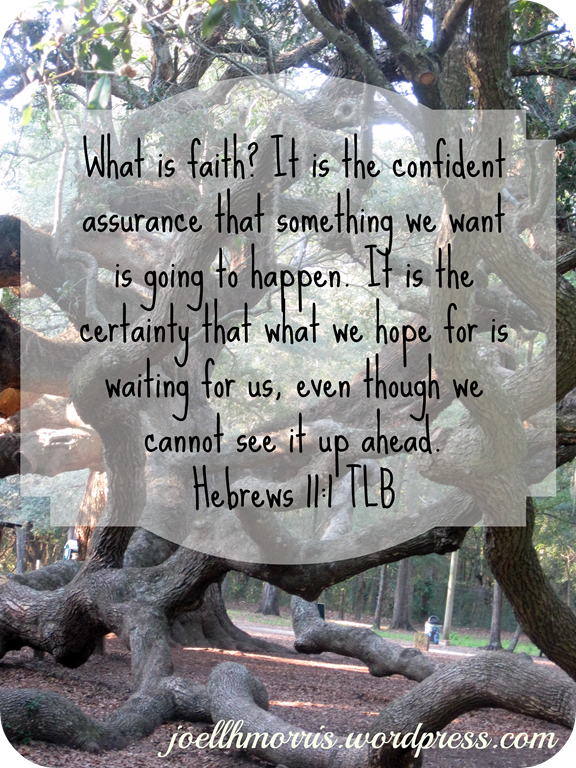 Then, like David, we can rest in that acceptance, wait on the Lord and trust that He will come through for us and bring us into the amazing blessings He has planned for us. I try very hard in my life to be real. To be transparent. And I am always drawn to others who are. Some people might look at me and say, Oh, that Joell, she is so funny or she is a positive person…and I really am those things, most of the time. That is real, but I tend to keep the not-so-happy stuff to a minimum. To put on my happy face and press on. Nobody loves a Debbie Downer. There are times when I feel so downcast, and I don’t want to dump that on people. I don’t want to be a whiner. And truly I don’t want to seem too needy. And so, I will hold back. There are times when it is just too painful to be completely bare, and so I save that for the quiet times when I am alone with God and pour that out to Him. He is always my soft place to fall, the lap to crawl up into, a safe place where I know He is always willing to hear me cry. He doesn’t mind if I get whiney from time to time. Truly, I have struggled with depression in my life. I have had my ups and downs just like everyone, and though I always try to find the silver linings and figure out what God is teaching me, I have still found myself really down in the dumps at times, and sometimes for no apparent reason. I think of David, who feared for his life and was driven to live in a cave—for years—as a fugitive, and who must have experienced the very darkest despair. I read his songs to God in the book of Psalms—the way he cried out to Him and begged God to have mercy—and I am comforted. I have often heard it said that God’s Word is His love letter to us, and it most certainly is. It is also his letter of “Hey, I know what you are going through. I’ve been there. Read this. Hear my voice. Stick with me, because I am sticking with you. You are going to get through this.” It is His book of comfort and encouragement. It is also a demonstration of the lives of men and women who walked with God through unimaginable circumstances: Job’s suffering, Joseph being sold into slavery and his subsequent imprisonment, David’s depression and loneliness. God never left them. Even if it is your tears. Or your anger. Or your frustration. Or your fear. Give it to Him. He wants it all. And what he wants more than anything is your heart and my heart. That is what He is after. He wants it whether we are feeling on top of the world or whether we are living in the cave, like David. God is always real with us. He wants us to know that we can be real with Him. 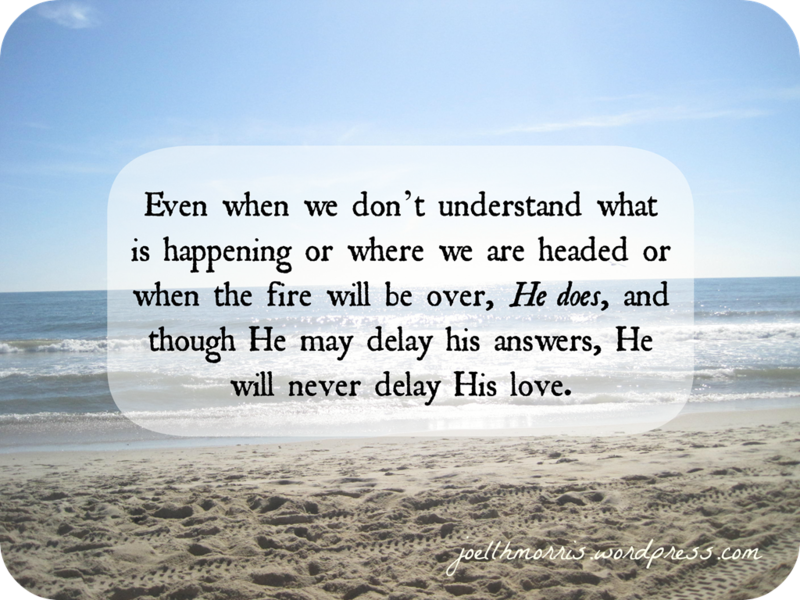 Even when we don’t understand what is happening or where we are headed or when the fire will be over, He does, and though He may delay his answers, He will never delay His love.